In the Steel Basin water disappears almost as if by magic. The secret is a hidden channel that makes it drain along the perimeter.Steel can be freestanding, placed against the wall or built into Air and Air Wildwood shelves or 36e8 storage. 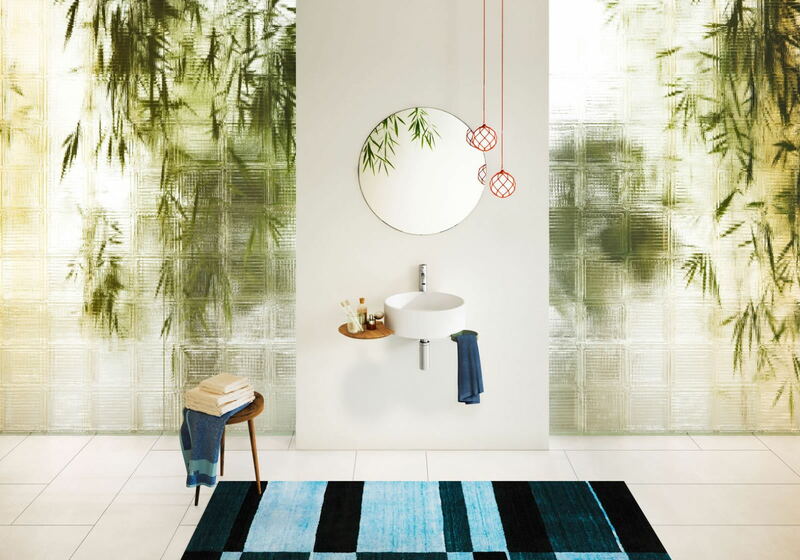 Take note of the Lago wall tiles that fade from one colour to another - Quite unique! - 32 colours to combine. LSP offers a free professional home design consultation to check wall types, measurements & to discuss your bathroom requirements in full. This service includes full technical 2D drawings & 3D visuals.